Craig R. Schulman | Schulman, Hershfield & Gilden, P.A. 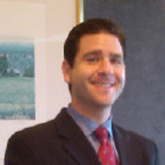 Craig R. Schulman is a Senior Associate Attorney with Schulman, Hershfield, & Gilden, P.A., with more than ten (10) years of diverse experience in complex civil and criminal litigation (Plaintiff and Defense), business deals and negotiation, and has successfully handled many complex settlement negotiations throughout multiple areas of practice. Schulman’s primary areas of focus are: Business/Corporate Law, Contract Law, Sports & Entertainment Law, Personal Injury, Workers’ Compensation, Torts/Mass Torts, Collections, Employment Law and Employment Discrimination, Family and Domestic Law, Real Estate and Real Property, Trusts and Estates, and general legal and litigation matters as well. Schulman earned his undergraduate degree from the University of Michigan in Kinesiology, with a focus on Law, English, Sports Management and Marketing, and earned his JD from the University of Baltimore School of Law. In addition to his experience as a practicing attorney, Schulman also has extensive experience in the areas of marketing, business/brand development, event planning and management, and sponsorship sales from years of working for and with professional sports and entertainment organizations such as the Baltimore Ravens, the Washington Redskins, and the Washington Nationals. He further honed his sports and entertainment sales and marketing skills while working for Gilco Sports & Entertainment Marketing, which was a sports and entertainment marketing, sponsorship and naming rights firm, Game Time Sports Management, who represented NFL great Ray Lewis. For more than a decade, Schulman has gained a significant amount of unique experience which is extremely rare amongst his peers. It is the combination of this unique experience, plus his pedigree as the son of a former Federal Prosecutor, which have enabled Schulman to successfully handle cases for clients in many different areas of practice. This combination has allowed Schulman to develop many unique and long-lasting relationships with his clients that are truly second to none. He has also successfully handled arbitrations before the NFLPA involving disputes between professional athletes, agent representatives and the NFLPA, Trial Board and other Administrative hearings/matters for many police officers and other unionized workers, and has also assisted many individuals facing foreclosure and other mortgage-related issues.